What utilities does XOOM Energy service in Ohio? Currently, XOOM Energy Ohio, LLC supplies electricity and/or natural gas in: AEP Ohio, Dayton Power & Light Co., Duke Energy, FirstEnergy-Ohio Edison, FirstEnergy- The Illuminating Company, FirstEnergy- Toledo Edison, Columbia Gas of Ohio, Dominion East of Ohio, and Vectren Energy Delivery territories. No. You are never at risk for service disruptions for switching to XOOM Energy. In fact, you will see no difference in the service you are receiving. The only change will be in your billing, which will be according to the service plan contract rate you selected. The Budget Payment Plan is available on both the XOOM Energy and utility (Columbia Gas of Ohio) portion of your charges. If you enrolled in a Budget Payment Plan, you would remain on it after switching to XOOM Energy. If you are not enrolled in a Budget Payment Plan and would like to be, please contact Columbia Gas of Ohio Customer Care at 800.344.4077. The Equal Payment Plan is available on both the XOOM Energy and utility (AEP) portion of your charges. 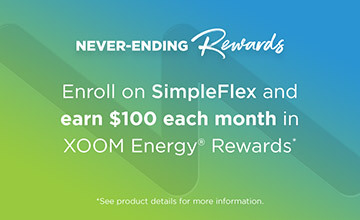 If you enrolled in an Equal Payment Plan, you would remain on it (after switching to XOOM) for your utility (AEP) charges, but will need to contact XOOM Energy to ensure your Budget Billing Plan includes your XOOM Energy charges. Budget Billing is available on both the XOOM Energy and utility (DP&L) portion of your charges. If you enrolled in a Budget Billing plan, you would remain on it (after switching to XOOM Energy) for your utility (DP&L) charges, but will need to contact XOOM Energy to ensure your Budget Billing Plan includes your XOOM Energy charges. Budget Billing is available on both the XOOM Energy and utility (Dominion) portion of your charges. If you enrolled in a Budget Billing plan, you would remain on it after switching to XOOM Energy. If you are not enrolled in Budget Billing and would like to be, please contact Dominion Customer Care at 877.542.2630. Budget Billing is available on both the XOOM Energy and utility (Duke) portion of your charges. If you enrolled in a Budget Billing plan, you would remain on it after switching to XOOM Energy. If you are not enrolled in Budget Billing and would like to be, please contact Duke Customer Care at 800.543.5599 (Electric) or 800.634.4300 (Gas). Budget Billing is only available on the utility (Illuminating Company) portion of your charges. After you switch to XOOM Energy, you will need to contact Illuminating Company Customer Care to re-enroll on Budget Billing. If you are not enrolled in Budget Billing and would like to be, please contact Illuminating Company Customer Care at 800.589.3101. Budget Billing is only available on the utility (Ohio Edison) portion of your charges. After you switch to XOOM Energy, you will need to contact Ohio Edison Customer Care to re-enroll on Budget Billing. If you are not enrolled in Budget Billing and would like to be, please contact Ohio Edison Customer Care at 800.633.4766. Budget Billing is only available on the utility (Toledo Edison) portion of your charges. After you switch to XOOM Energy, you will need to contact Toledo Edison Customer Care to re-enroll on Budget Billing. If you are not enrolled in Budget Billing and would like to be, please contact Toledo Edison Customer Care at 800.447.3333. The Equal Payment Plan is available on both the XOOM Energy and utility (AEP) portion of your charges. 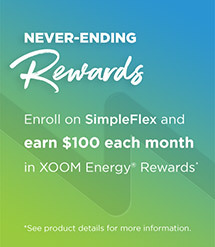 If you enrolled in an Equal Payment Plan, you would remain on it (after switching to XOOM Energy) for your utility (AEP) charges, but will need to contact XOOM Energy to ensure your Budget Billing Plan includes your XOOM Energy charges. Budget Bill is available on both the XOOM Energy and utility (Vectren) portion of your charges. If you enrolled in a Budget Bill plan, you would remain on it after switching to XOOM Energy. If you are not enrolled in a Budget Bill plan and would like to be, please contact Vectren Customer Care at 800.227.1376. Rate above applies to all ccfs used and is only applicable to commodity portion of your bill. Available to residential customers only. After the promotional period, this rate may change in the subsequent months at the sole discretion of XOOM Energy. XOOM's charges will be reflected on the monthly bill you receive from the utility. Only the utility account holder or persons legally authorized on the account may enroll. If you are currently under a contract with a retail supplier, understand your obligations and rights before switching. Rate above does not include tax. Rate applies to all ccfs used. One year service agreement required. Other taxes and fees may apply. XOOM's charges will be reflected on the monthly bill you receive from Vectren Energy Delivery. If you cancel your service before the contract ends, a cost recovery fee of $110 may apply. If you are currently under a contract with another provider understand your obligations and rights before switching. Only the utility account holder or persons legally authorized on the account may enroll. 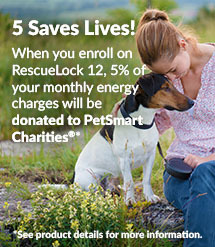 Take the uncertainty out of your energy bills with our SureLock 24 fixed rate plan! Two year agreement required. Other taxes and fees may apply. XOOM's charges will be reflected on the monthly bill you receive from the utility. If you cancel your service before the contract ends, a cost recovery fee of $200 may apply. If you are currently under a contract with another provider understand your obligations and rights before switching. Only the utility account holder or persons legally authorized on the account may enroll. 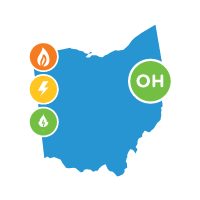 When seeking out retail energy providers in the Ohio area, consumers should take full advantage of the power of choice. By keeping an eye out for rates offered from other Ohio energy providers, customers choosing the best natural gas or electric company can win with the lowest possible prices available to them.